Day and night earrings have an upper earring or ear stud, suspending another detachable ornament. The top part of the earring is to be worn alone for daytime, the pendant added for evening wear. 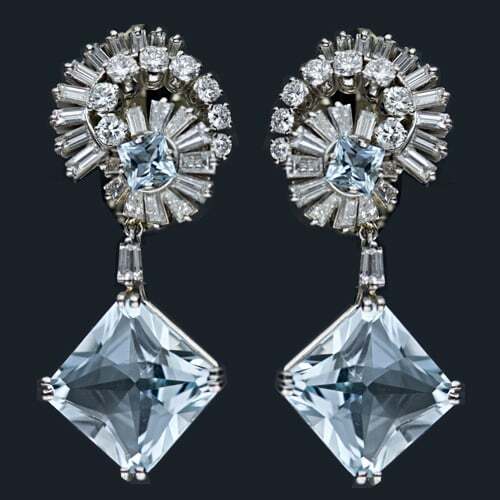 These earrings are also known as “Top and Drop” earrings.